For the Christian Church, Christmas really just begins on December 25th, and so our worship continues to celebrate the birth and early life of Jesus Christ in the last days of December and through into January. The Sunday immediately after Christmas (this year the 30th December) and the Feast of the Epiphany (6th January - when tradition has it that the three ‘kings from the East’ or ‘Magi’ visited Jesus’s home with gifts of gold, frankincense and myrrh) are very much still full of joy and celebration. Christmas trees and the Advent wreath stay up until 6 January and the Christmas crib stays until the Feast of Candlemas on 2 February. Please join us as we continue to celebrate the joy of the Christ Child in our midst. 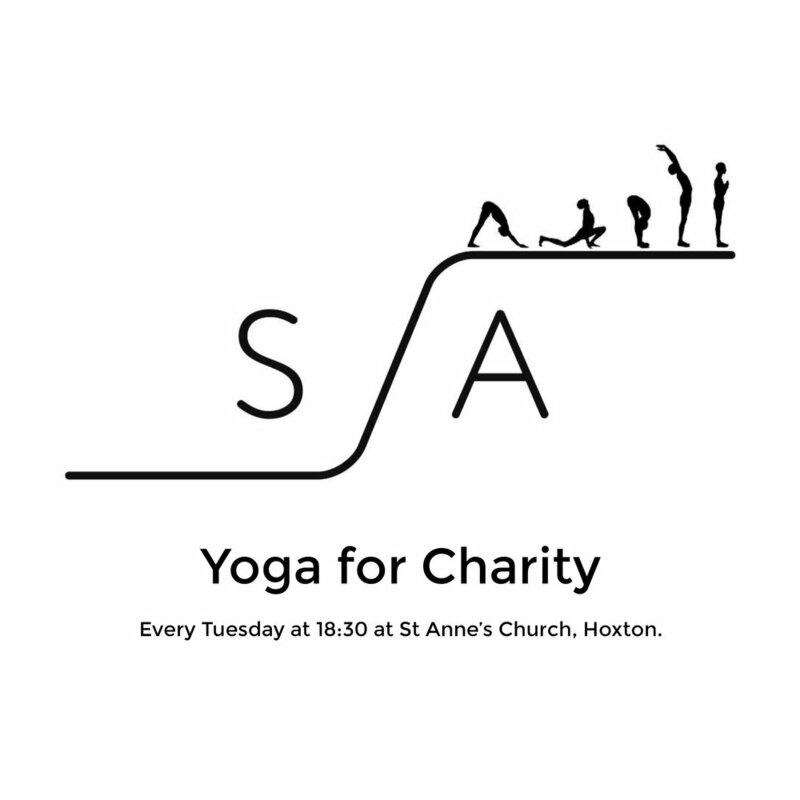 – Sessions cost £5, all income goes directly to St Anne’s Hoxton Relief in Need. St Anne’s Hoxton has been the centre of the Hoxton community since it was founded in 1870. It runs a Relief in Need charity to provide a soup kitchen, night shelter, youth club and food gifts for local people in desperate need. On Sunday 4 November at 11am we’ll gather to celebrate All Saints’ Day and to remember our loved ones who have died in the past year. There’ll be lighting of candles, some music and singing from our young people and some reflections from our Sunday school. Everyone is welcome! All Saints’ Day gives us the chance to gaze on the immense number of people who have already reached the blessed land of heaven, and allows us the headspace to find the path that will lead us to that destination. On Sunday 20 May, we will offer Laying on of Hands and Anointing with Holy Oil for Healing & Personal Renewal, as part of our 11am Sunday Mass for Pentecost. Pentecost is a time of celebration for the gift of the Holy Spirit on the Church and in our lives. Through the Sacrament of Anointing, we pray that we might receive bountiful gifts of the Holy Spirit.